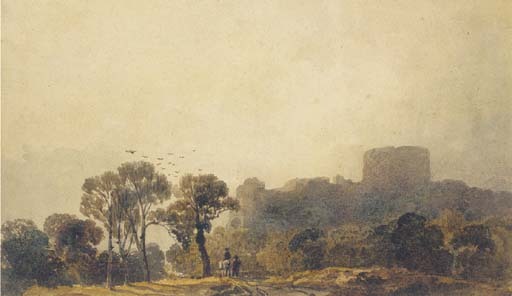 This watercolour shows the West Gate and the Keep of Lincoln Castle, more popularly known as the Lucy Tower, which was the site for the burial of felons. The track on the left of the picture is now the Union Road and the view is therefore taken from very close to Peter de Wint's house in Lincoln, for which he bought the land in 1814. We are grateful to John Ellis for his help in preparing this catalogue entry.